Those of us who love coffee, love it a lot. If you’re like me, and you want a tasty, fresh brew every morning, the coffee you use is key. Finding the right beans, ground coffee or single-use pods can be a process of trial and error. Different originating countries, different beans or blends of beans, different grind coarseness, different roasts, and differing amounts of coffee used will all make a difference to your final cup of coffee. 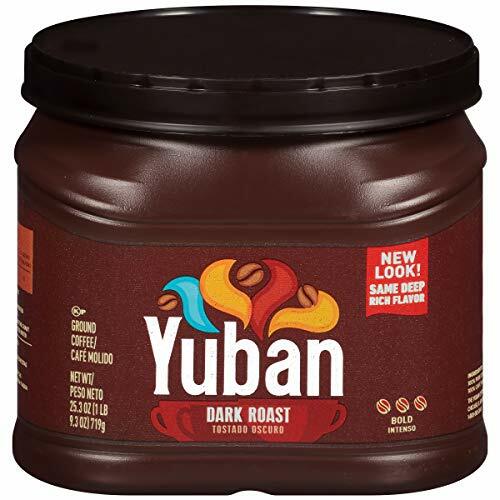 Yuban Coffee is a brand name many will recognize, but it isn’t as famous as some other products on grocery store coffee shelves. Yuban doesn’t advertise on the level of more popular national brands, but they have a number of different coffees. In this guide we will discuss and review the question, is Yuban coffee worth it? The Yuban Coffee Company is now a subsidiary of the Kraft Heinz Company with headquarters in New York City, New York. It was incorporated in 1994, although it boasts that it has been roasted in California since 1950. It’s stated right on the coffee cans. In 2006, Yuban became Rainforest Alliance certified. That means that at least 30 percent of its beans are grown using ecologically sensitive farming methods, and the beans are organic and grown without the use of chemical fertilizers and pesticides. Farms are audited by the alliance every year, and must also provide fair wages and health care to laborers. So if purchasing ecologically friendly and labor-friendly coffee is important to you, Yuban fits with your beliefs. However, this also means only 30 percent of its beans fit these standards. The majority of its beans do not – which could also be an important factor for you. The Kraft website states that more than 30% of all beans that go into the original, decaffeinated and dark roast blends are Rainforest Alliance certified. Another factor for those of us concerned about the environment is the packaging. Also according to the Kraft website, Yuban coffee now comes in a canister made from more than 50 percent recycled materials. Some of the containers state that they are 100 percent recyclable. It appears the company seems to be making efforts to be environmentally friendly, an important component of business for many consumers. So let’s take a look at a few of the different options within the Yuban coffee line, and you can decide if there’s one that will work for you. 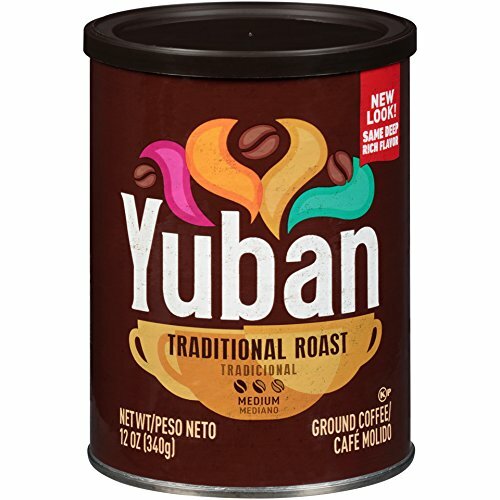 This seems like it might be the “top of the line” for Yuban, as Yuban Gold medium roast coffee is a 100 percent, full-strength Arabica coffee. Arabica is a specific species of the coffee shrub and usually produces a superior coffee. The other dominant coffee shrub is robusta, which is described as being less acidic, more bitter, and more highly caffeinated than Arabica. Some products are blends of different types of coffee or hybrid plants. If you know your preferences well, it may make a difference for you to choose pure Arabica coffee. The flavor of this medium roast coffee is described as being smooth rather than the stronger, burnt or bitter flavor. It may not be the best option for those who like a strong roast coffee. However, because it is smoother and less acidic than some coffees, it may be ideal if you’re trying to cut back on cream and sugar or switch to drinking your coffee black, and you want a smooth roast while you make the transition. The fact this is an Arabica coffee is a selling point for many. The Yuban dark roast is just as its name implies, dark roast with a bold flavor. For those who like a stronger, darker coffee, this is likely the Yuban choice for you. It has a rich but mellow taste, without bitterness. Find out more on the difference between medium and dark roast coffee. This is also one of the Yuban products that are Rainforest Alliance certified for at least 30 percent of its beans. However, the label also reads “100 percent pure coffee,” like you'll find with the best Kona coffee, which leads me to believe it is probably a robusta or a blend, as Arabica coffees are almost always labeled as 100 percent Arabica. If you want a single-use pod for your Keurig or other single-use machine, Yuban has K-Cups as well. This is a medium roast, Colombian coffee, made from 100 percent Arabica beans. It is for use in all Keurig brewing machines, including the newer 2.0 models. 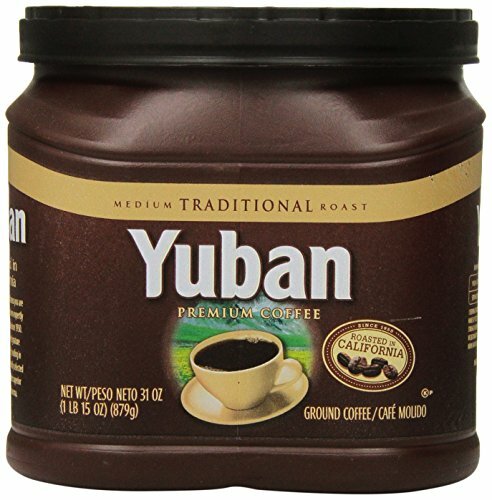 The Yuban Colombian K-Cup provides a full-bodied flavor with no bitter aftertaste. Using a Keurig, you can adjust the amount of water brewed into each cup if you want a stronger or weaker cup of coffee from the pod. However, the one-cup technology is not for everybody. Some coffee purists who like Yuban coffee made in a brewer may not like the one-cup brewing technology. 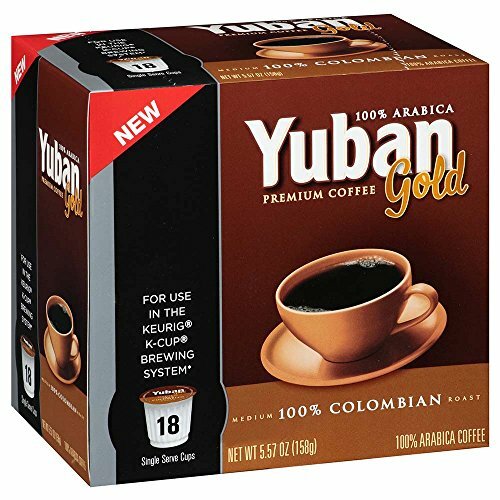 If you really want Colombian coffee, be careful because Yuban also offers an “Original Gold” version of K-Cups, which is also 100 percent Arabica, and also medium roast, but according to the packaging is not 100 percent Colombian. The Yuban traditional roast is a medium blend coffee. It’s a good, all-around coffee without pronounced bitterness. This is also labeled as being “100 percent pure coffee,” so once again it is likely not ground from Arabica beans. Yuban’s different products also come in different types of packaging. The Gold is in a traditional coffee can, while the Dark Roast and the Traditional are in plastic canisters. Perhaps the Arabica beans get a more upscale package, but either way, storage of coffee is important. Coffee should be stored in an opaque container, so the can and the plastic canister accomplish that. The container should also be airtight, however, so if you really want your coffee to stay as fresh as possible, you may want to consider moving it to an airtight container like a canister with a sealed lid. Keep your coffee away from light and heat, so storage in a pantry or cupboard is ideal. As well, do not freeze your coffee, as it also needs to be kept away from moisture. Yuban’s varieties also come in different sizes. Until you know what you like, you may want to try the small, 12-ounce canister. Once you have a favorite, you can move up to 25, 29, 31, or 44-ounce sizes, depending on the variety you select. It seems each blend has different options for sizes. A note to traditionalists – Yuban has changed its packaging and has changed its blends over the years, so if you left the Yuban fan club and are recently returning, you will want to try several blends before finding the one you remember – or one close to what you remember. Plus by using the descriptors “original” and “traditional,” these two blends, in particular, can easily be confused. And, if you are adamant about having Arabica beans, for instance, make sure the package states that. It isn’t always clear on the packaging. It is easy to get some of the Yuban products mixed up. The labeling is similar and has changed over the years, so once you get a favorite roast, be sure that’s what you select the next time you are shopping. Yuban has a range of coffees to suit a range of coffee drinkers. Whether you like a medium roast, dark roast, ground coffee or Keurig K-Cups, you should be able to experiment and find a Yuban coffee that’s right for you and your coffee drinking household or office.